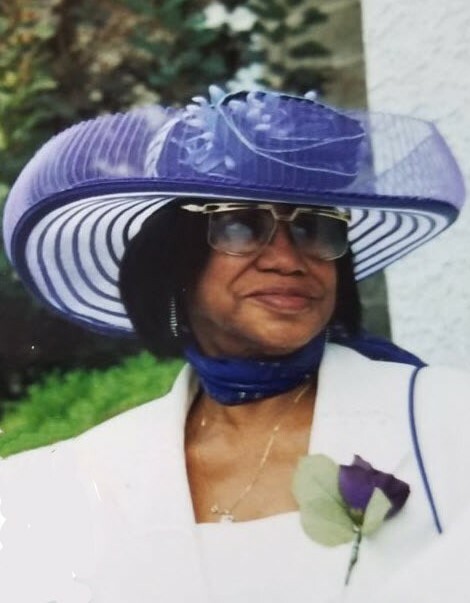 Fannie Lou Jones Keys, 88, Spartanburg, SC and formerly of Sandusky passed away on Thursday, October 25, 2018 in Magnolia Manor Spartanburg. A native of Smith County, MS, she was the widow of Ather Keys, Sr. and daughter of the late Dan Jones and the late Mary McNair (Ether) Jaynes. She was a member of Cornerstone Baptist Church. She was also a graduate of Alcorn State University and was self-employed as a beautician. Mrs. Keys was a member of the OES Lakeview Chapter #65 in Sandusky, OH. Those who remain to cherish her loving memory include one son, Ather (Ellainna) Keys, Jr. of Overland Park, KS; two daughters, Bonnie Carter of Sandusky, OH and Gloria Keys Winston of Spartanburg, SC; one granddaughter reared in the home, Kisha (Troi) Williams; thirteen grandchildren; nine great-grandchildren; one brother, Dan (Linda) Jones of Houston, TX; four sisters, Essie Goree of Sandusky, OH, Alberta (Loyed) Talley of Cleveland, OH, Mary Turner of McGee, MS and Loretta (Ivy) Duckworth of Mt. Olive, MS; an adopted daughter and caregiver, Garlee Griffin of Spartanburg, SC; and a host of nieces, nephews, cousins and friends. In addition to her husband and parents, she was preceded in death by one brother, J. D. Jones and one sister, Lovie Wendell. Friends may call Saturday, November 3, 2018 from 11 A.M. until time of funeral services at 1 P.M. in Porters Memorial CME Church, 1722 Third St., Sandusky, Burial will take place in Oakland Cemetery. Toft Funeral Home & Crematory, 2001 Columbus Ave., Sandusky is handling the arrangements. Condolences and gifts of sympathy may be made to the family by visiting toftfuneralhome.com.